Association of Significant Cemeteries of Europe: Exhibition "Bologna Certosa with Dickens’ eyes"
Exhibition "Bologna Certosa with Dickens’ eyes"
The Associazione Amici della Certosa di Bologna in collaboration with Bologna Museo civico del Risorgimento and with Minerva Edizioni, worked together to organize this exhibition. 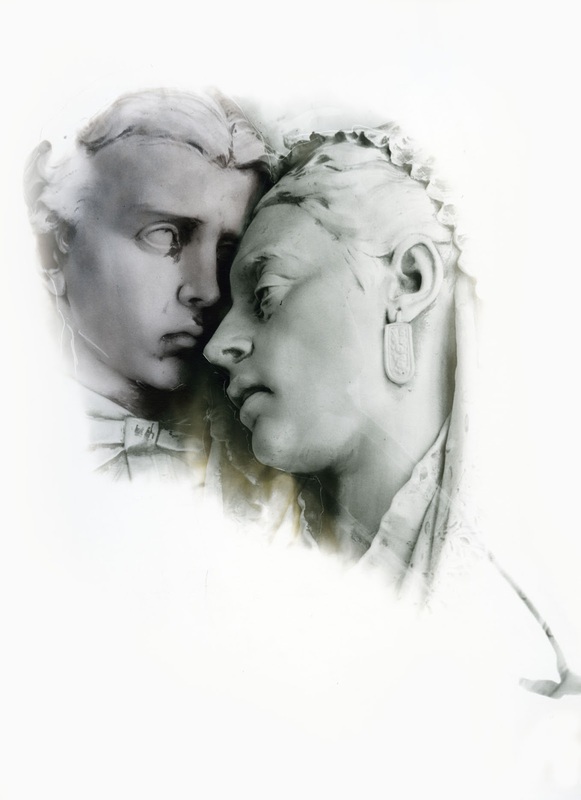 The proposal originally came from the Gruppo Arti Visive of the Associazione: the idea was that by using photographic images and paintings, it would be possible to recreate the feelings and impressions Charles Dickens may have developed while visiting the Certosa, during his short stay in Bologna. In particular, the curators tried to imagine how the stroll through the cemetery cloisters and the people he met there, on a November Sunday in 1844, may have affected his subsequent works. The relation between such a highly imaginative author, as Dickens is, and the themes linked to the end of life and what could exist after death, also for those who are left alive, is so fecund that they can be seen all through his works. For instance, the theme is present in “A Christmas Carol”, a beloved novella that has achieved world-wide fame, but also “Great Expectations”, which actually starts in a cemetery where little Pip imagines his parents’ looks based on the type format and the inscription style on their gravestones, because, Dickens clarifies, they lived much earlier than the era of photography. Reading Dickens is like observing a series of images, which he evokes by making them come alive to us and this is how the works presented at this exhibition must be interpreted. There is always a strong relationship between photography and literature, represented by the interpretation of reality. The photographer or painter’s eye is as selective as the literary construction: the latter, through the choice of characters and settings, at times offering revealing perspectives on human nature, creates its own original representation of the meaning of life. 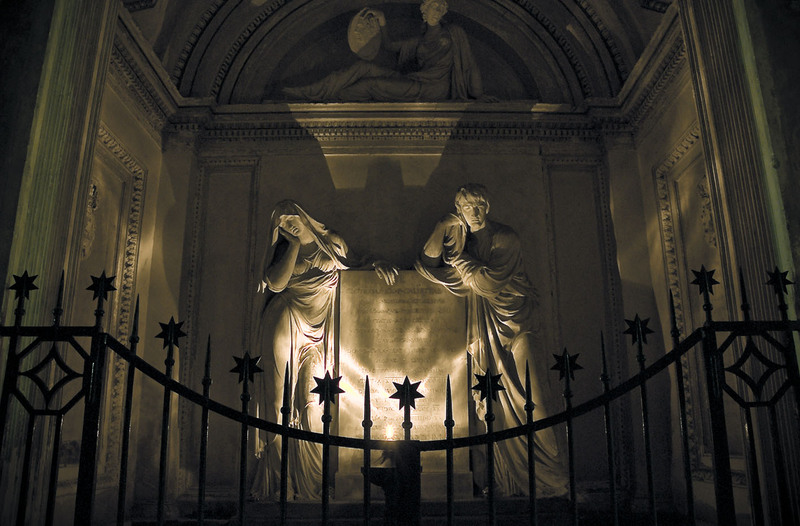 In this specific case, the artists involved have interpreted the Certosa taking their inspiration from the many ‘cemetery’ settings featuring in Dickens’ works. The belief of the Associazione Amici della Certosa is that also through such an initiative it is possible to fulfil two of the prerequisites the Associazione has set for itself: promoting and disseminating knowledge about the cemetery and raising funds to continue with this activity and to contribute to the restoration and maintenance needs. The exhibition will end with a charity auction. The money raised is going to be used for the Certosa restoration works. The auctioneer is a special guest: Patrizio Roversi, who has kindly agreed, with his affectionate and spontaneous offer, to support our monumental cemetery, the “other town”. The exhibition also features an interesting series of guided tours, at the Certosa as well. Finally, Dickens’ presence in Bologna is also the theme of the exhibition currently underway at the Library of the Archiginnasio "Sulle tracce di Dickens. Libri e opere grafiche della Biblioteca dell'Archiginnasio”, which has been extended until March 2nd. On display are books, engravings, prints and period photographs. "La Certosa di Bologna con gli occhi di Dickens"
Every day: 10 a.m. - 6 p.m.
Friday, February 15th, 5.30 p.m.
Saturday, February 16th, 10.30 a.m.
Sunday, February 17th, from 11 a.m. to 12.30 a.m.
Saturday, February 23rd, 4 p.m.
Sunday, March 3rd, 10.30 a.m.
Saturday, March 9th, 10.30 a.m.
Sunday, March 10th, from 11 a.m. to 12.30 a.m.
Sunday, March 10th, 4 p.m. Furthermore, the exhibition "Sulle tracce di Dickens. Libri e opere grafiche della Biblioteca dell'Archiginnasio" has been extended until March 2nd.